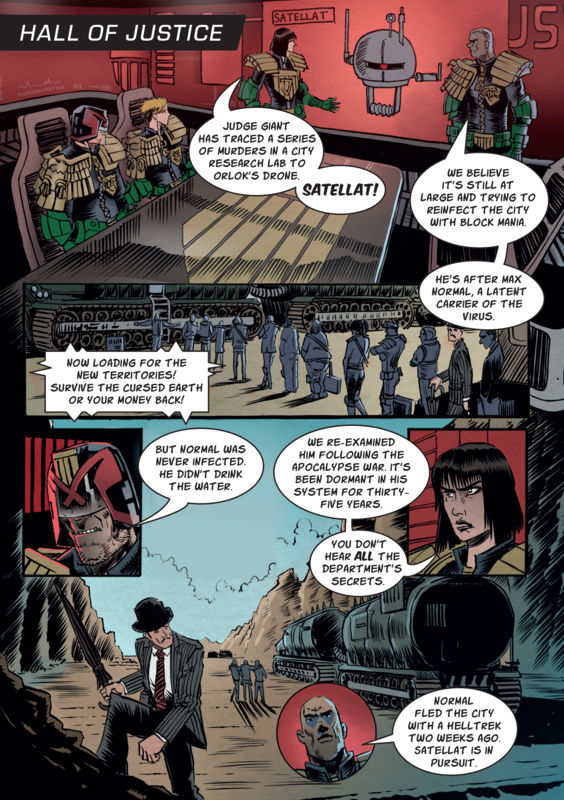 Judge Dredd: The Cursed Earth is an adventure card game coming out on 21 February. Preorder your copy before that date and you'll receive a promo pack with three new adventure cards, bringing an even greater challenge to the irradiated wasteland! There's just over two weeks left until Judge Dredd: The Cursed Earth will be heading to tabletops around the globe. In this 1-4 player adventure card game, you'll be tracking down a citizen harbouring a deadly disease, but why is it so important that you find him? 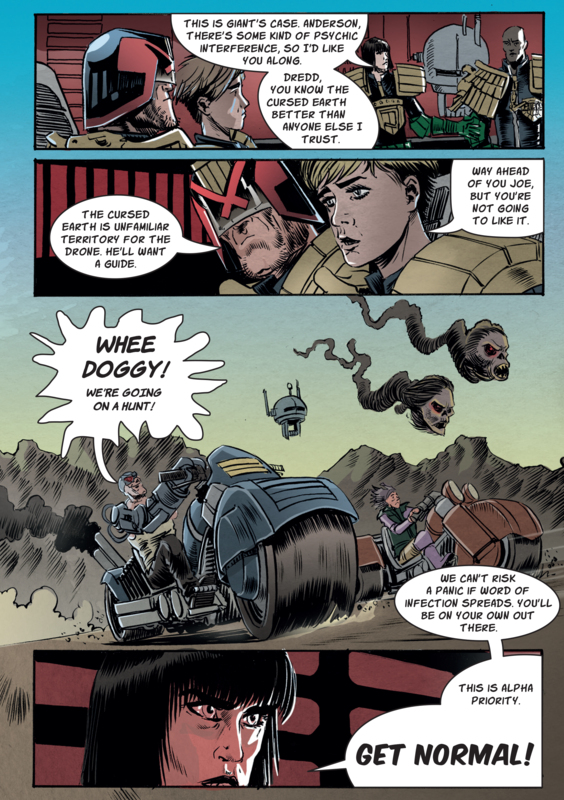 Well, this comic, drawn by Dredd artist Dan Cornwell, should give you the details you need! Judge Dredd: The Cursed Earth comes out on 21 February, with a special preorder promo pack available to anyone who preorders before that date (more details available here). Will you be venturing into the irradiated wasteland?